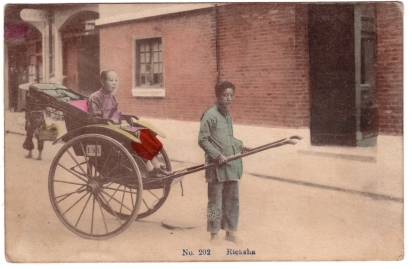 Action: Rickshaw puller and female passenger in Hong Kong or Canton street. The woman wears Western leather shoes. Behind them are a person with baskets on a bamboo pole, and shops. The rickshaw’s registration number is 191. The man has short hair. Image Particulars: Post-1911 scene. 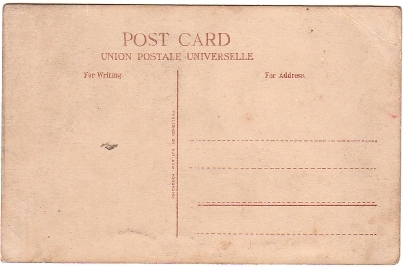 This type of postcard was popular well into the 1920s and later.